Laura Monsen might have been born to be a firefighter. She is the third generation to enter into the field. In junior high and high school she acted as the Sparky mascot for the Castlegar Fire Department and got to know the fire hall, the crew, and what the expectations of the career were. Due in large part to the admiration she had for the firefighters in her family, Laura was drawn to a career in firefighting herself. After high school, she was hired by the Castlegar Fire Department as a paid on-call firefighter and started her training through College of the Rockies. She completed her Level 1 and 2 firefighter training in 2015. 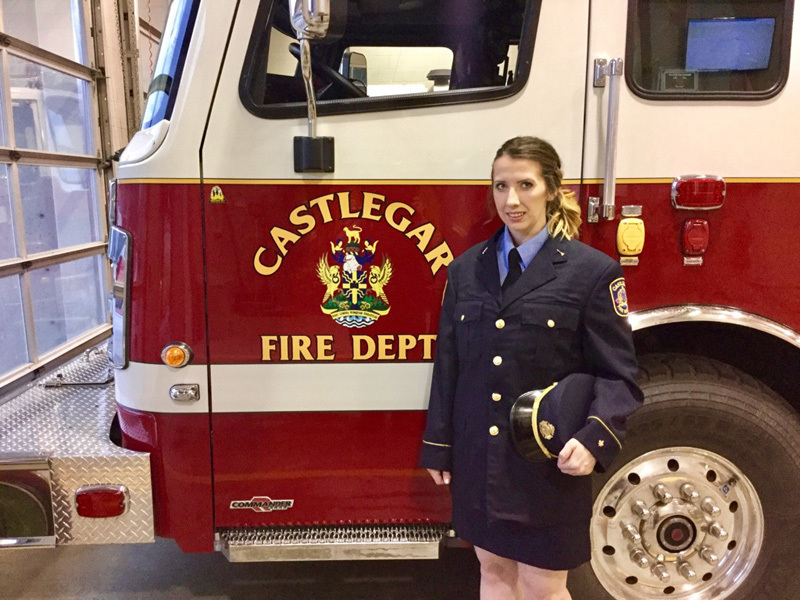 In 2017, after five years with the department, 23-year old Laura became the Castlegar Fire Department’s first female officer. As Lieutenant Officer, she is responsible for supplying leadership in the work environment. “What I love most about being a firefighter is that I get to help people every day and work with a well-trained volunteer group of firefighters who have helped establish me into the Lieutenant Officer role,” she adds. We at College of the Rockies are proud of all that Laura has accomplished in her 23 years. We see big things for her future! Learn more about College of the Rockies’ Fire Services Training.